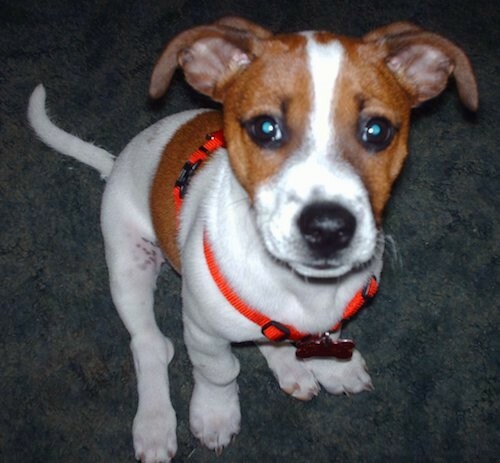 "This is Otis, my Jack Russell/Rat Terrier mix. He is 5 months old in this picture. He loves to jump and can jump in my arms with me standing up. He also loves to sleep under the covers. He loves when it is bedtime!"